To be pure evil first there had to be pure innocence. A serial killer began life as a sweet innocent baby. The devil was once a powerful revered angel. 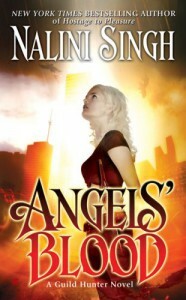 And an archangel lost to bloodlust was once a young angel dancing on the wind. Singh has begun this series with a bang. Her characters are memorable and feel deeply. Elena and Raphael may have a love that could surpass any conceived love in history. If they can survive the angel politics and live through assassination attempts they might just find they can reach the point where the line where one begins and one ends is blurred. Impossible to put down, you had better have the whole series on hand.